People: Hegel, Jean-Jacques Rousseau, Thomas Münzer, Levellers, Babeuf, St. Simon, Fourier, Robert Owen, Kant, Proudhon, Weitling. Terms: Bourgeoisie, Proletariat, Class, Right, Equality, Utopia, Communism, Middle Class, Reason, Property, Commodification, Mode of Production, Productive Forces, Distribution & Exchange, Socialism, Bourgeois Society, Civilisation, Poverty, Petit-Bourgeoisie, Private Property, Doctrinaire Socialism, Science. 1. Why were the earliest socialists “Utopian”? 2. What did the leaders of the French Revolution hope to achieve and what went wrong? 3. In what way did Saint-Simon's conception of class differ from Engels’ idea of nobility, bourgeoisie and proletariat? 4. Were Robert Owen's efforts doomed to failure? If so, why? 5. Engels heaps praise on Saint-Simon, Fourier and Owen. What exactly does he credit each of them with having achieved? Terms: Dialectics, Metaphysics, Positive & Negative, Cause & Effect, Limit, Abstract & Concrete, Contradiction, Chance & Necessity, Idealism, Spirit (Idea), Truth, System & Method, Materialism, Mechanical Materialism, Nature, Logic, Formal Logic, Class Struggle, Being, Capitalism. 2. What is the difference between the dialectics of the ancients and the dialectics of Hegel? 3. What is the problem with the dialectics of Hegel? 4. What did Engels mean when he said that modern materialism “no longer requires the assistance of that sort of philosophy which, queen-like, pretended to rule the remaining mob of sciences”? 5. Why is Hegel's philosophy important to socialism? Terms: Historical Materialism, Distribution & Exchange, Feudal Society, Means of Production, Division of Labour, Exchange, Commodity, Private Labour, Market, Socialisation, Wage Labour, Concentration of Capital, Alienation, Fetishism, Overproduction, Crisis of Capitalism, Credit, Public Property, Privatisation, State, Slave Society, Planned Economy, Freedom, Democracy. 1. What major changes in the division of labour and productive forces have taken place in recent decades, and what political and social changes have been associated with these changes? 2. How would you apply Engels' observation that “the final causes of all social changes and political revolutions are to be sought, not in men's brains, not in men's better insights into eternal truth and justice, but in changes in the modes of production and exchange” to a major social movement of our times, such as the Women's Liberation Movement or the rise of Fundamentalism? 3. Engels refers to the arrival of planned production with the factory system. Exactly what did he mean by this? 4. Engels defines the underlying or central contradiction in the development of capitalism in a series of different ways (highlighted in italics). Find all these different definitions: what does each mean, and is the sequence in which they are presented of any particular significance? 5. Engels places a lot of emphasis on production of “commodities”. What is a commodity? and what human needs can you think of that are met by means of commodities today that were not supplied by commodity production, say, 50 years ago. 6. Engels mentions a couple of examples of a “vicious circle” in the development of capitalism. What were they? 7. What does Engels mean by the “rebellion of the productive forces”, and what are the “productive forces”? 8. Engels refers to the necessity for the state to take over running the Post Office, railways and so on because the capitalists can't do it themselves. How has this worked out in history since Engels' times and what are the comparable issues today? 9. 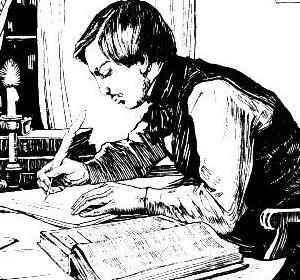 Engels says “This solution can only consist in the practical recognition of the social nature of the modern forces of production, and therefore in the harmonizing with the socialized character of the means of production”. How would you see this idea as indicating the way the socialist movement would change its form over time? 10. Engels says: “Active social forces work exactly like natural forces: blindly, forcibly, destructively, so long as we do not understand, and reckon with, them.” Does this mean we need to understand economics better to be able to control society? 11. Which different relations between the State and the community does Engels mention as having arisen down the ages? What could it mean for the state to become “the real representative of the whole of society” and why would it then disappear?